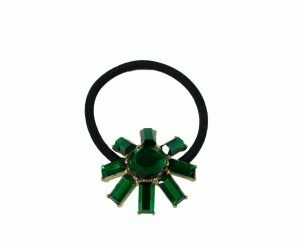 David Charles stocks a dazzling array of exquisite girls’ accessories to complement and enhance your little angel’s style. 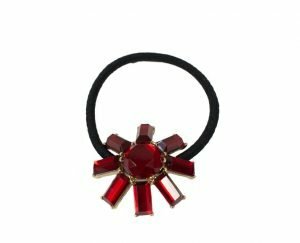 Browse our collection of sparkling diamante hair bands, cute and kitschy bags, and enchanting, luxurious bracelets and treat your little princess to a gift that will make her feel as special and unique as she truly is. Pair your angel's evening look with our ivory pearl bridesmaid hair band. This exquisite David Charles edition is a must-have accessory for any wedding guest outfit. Whether she's a flower girl, bridesmaid or maid of honour, celebrate the occasion with everlasting style. 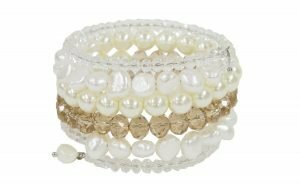 This hair band is available in a polished ivory colour, complete with pearlescent resin florals and freshwater pearl accents. These timeless details are offset with an oversized bow ready to complement your daughter's finished look. 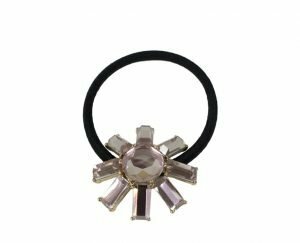 Flexible plastic hair band encased in luxurious textured fabric. Choose our ivory pearl bridesmaid hair band for special occasions that require a designer touch. Introducing one of our finest hair accessories of the moment, the royal blue sunshine scrunchie. A must-have bobble from our latest collection, your cherub will love the elegant blue colour of this piece. 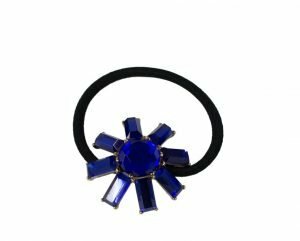 Available in a feminine royal blue shade, complete with a sunshine-shaped design, this designer scrunchie really is the crème de la crème of hair accessories. 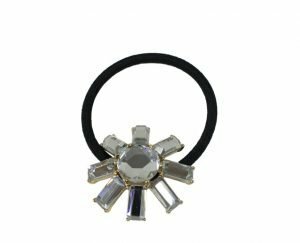 The flexible black hair elastic bunches the hair together effortlessly, while the luxurious design is perfect for parties and prom dates. Whether your girl prefers plait or ponytail styles, make sure she's looking like a princess with this colourful little number.